Vancouver Dentist Dr. Lisa Newkirk, DDS, launched Island Family Dental with the goal of providing comprehensive dental care for families. Over the years, Dr. Newkirk has been selected as the dentist of choice by hundreds of Vancouver residents. The best way to keep your teeth healthy and strong is to scheduled maintenance for your teeth every six months. This could include x-rays if necessary, cleaning, and general inspection of your teeth. With this information, we can keep an eye on potential problem areas and address any tooth pain you may be experiencing. Along with regular brushing and flossing, cosmetic care such as teeth whitening will keep your teeth looking great. Dr. Newkirk has chosen a teeth-whitening solutions she feels is the best for her patients. Whether you have a big interview coming up, or just want to feel more confident in your appearance, having a nice, bright smile can go a long way. Dental implants are used when a tooth, or a group of teeth, has failed for whatever reason. These implants are attached directly to the jawbone and provide strong, secure, and realistic looking replacement. Where dentures need a lot of maintenance and can slide around when not adhered correctly, implants can be cared for with standard brushing and flossing. Veneers are a way to hide those little imperfections in your teeth, such as gaps between the teeth or chipped teeth. Bonded to the teeth, veneers appear to be part of your original teeth and adjustments can be made during the process to give you the smile you’ve always wanted. Through general inspection and x-rays, Dr. Newkirk can find cavities that are visible as well as hidden from view. Addressing cavities as soon as possible prevents them from getting larger or affecting other teeth. Offering both amalgam and composite fillings, Island Family Dental will work quickly to stop the spread of cavities and fix any cavities you might currently have. An important aspect of having regular checkups is allowing Dr. Newkirk to spot trouble areas as soon as possible. Tooth sensitivity to hot or cold temperatures, pain while chewing food, or other issues can point to the need for a root canal. Island Family Dental takes advantage of advancements in dental technology to provide patients with as much comfort as possible during the procedure. Not every dental office can accept infants, toddlers, or younger children, but it is a specialty at Island Family Dental. Dr. Newkirk understands the worry that many children have when coming to the dentist and works to put their mind at ease and provide a comfortable atmosphere for both the child and parent. The sooner we see your child – usually before the first birthday – the sooner we can make sure they grow up with a big, beautiful smile. At Island Family Dentistry our goal is to create beautiful smiles that will last a lifetime. We believe that providing personalized, compassionate dentistry services along with excellent results helps ensure that you enjoy your trips to the dentist. 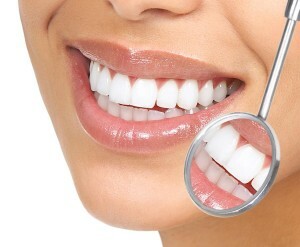 Dr. Newkirk is passionate about dentistry and passionate about being your dentist in Vancouver. If you have any questions about our dental services, or if you would like to book an appointment, please call our office at 360-718-8861. We genuinely look forward to being your Vancouver WA dentist.